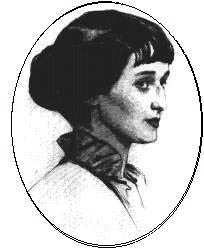 ﻿ Poetry Lovers' Page - Anna Akhmatova: "Let Somebody Else Rest..."
You are here: Home » Russian Poets » Anna Akhmatova » "Let Somebody Else Rest..."
You're again with me, my girl-friend autumn. I chose to be my girl-friend. Of my overcoming the fate.